Quantum entanglements are one of the most bizarre aspects of quantum physics, so much so that Albert Einstein himself referred to it as “spooky action at a distance.” Basically, the concept involves two particles with each occupying multiple states at once. Until such time as one is measured, neither has a definite state, causing the other particle to instantly assume a corresponding state, even if they reside on opposite ends of the universe. But what enables particles to communicate instantaneously – and seemingly faster than the speed of light – over such vast distances? Earlier this year, physicists proposed an answer in the form of “wormholes,” or gravitational tunnels. 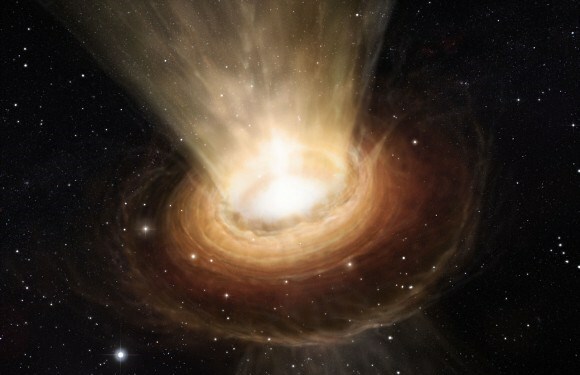 The group showed that by creating two entangled black holes, then pulling them apart, they formed a wormhole connecting the distant black holes. Now an MIT physicist has found that, looked at through the lens of string theory, the creation of two entangled quarks — the very building blocks of matter — simultaneously gives rise to a wormhole connecting the pair. The theoretical results bolster the relatively new and exciting idea that the laws of gravity that hold the universe together may not be fundamental, but may arise from quantum entanglement themselves. Julian Sonner, a senior postdoc at MIT’s Laboratory for Nuclear Science and Center for Theoretical Physics, published the results of his study in the journal Physical Review Letters, where it appears together with a related paper by Kristan Jensen of the University of Victoria and Andreas Karch of the University of Washington. Already, the theory is causing quite the buzz for scientists and fans of sci-fi who would like to believe FTL is still possible. This is certainly good news for scientists looking to resolve the fundamental nature of the universe by seeing how its discernible laws fit together. Ever since quantum mechanics was first proposed more than a century ago, the main challenge for physicists has been to explain how it correlates to gravity. While quantum mechanics works extremely well at describing how things work on the microscopic level, it remains incompatible with general relativity. For years, physicists have tried to come up with a theory that can marry the two fields. This has ranged from proposing the existence of a subatomic particle known as the “graviton” or “dilaton”, to various Grand Unifying Theories – aka. Theory of Everything (TOE) – such as Superstring Theory, Loop Quantum Gravity, and other theoretical models to explain the interaction. But so far, none have proven successful. A theory of quantum gravity would suggest that classical gravity is not a fundamental concept, as Einstein first proposed, but rather emerges from a more basic, quantum-based phenomenon. In a macroscopic context, this would mean that the universe is shaped by something more fundamental than the forces of gravity. 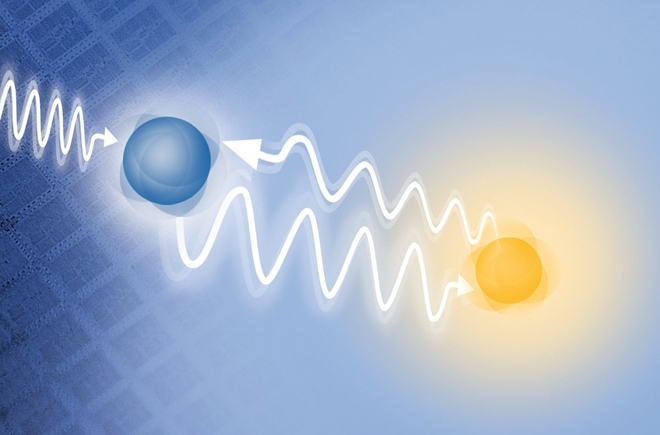 This is where quantum entanglement could play a role. Naturally, there is a problem with this idea. Two entangled particles, “communicating” across vast distances, would have to do so at speeds faster than that of light — a violation of the laws of physics, according to Einstein. In July, physicists Juan Maldacena of the Institute for Advanced Study and Leonard Susskind of Stanford University proposed a theoretical solution in the form of two entangled black holes. 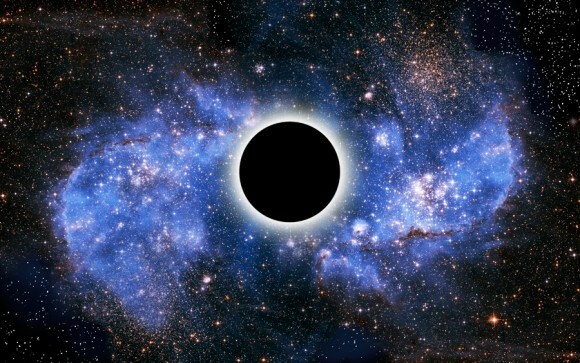 When the black holes were entangled, then pulled apart, the theorists found that what emerged was a wormhole – a tunnel through space-time that is thought to be held together by gravity. The idea seemed to suggest that, in the case of wormholes, gravity emerges from the more fundamental phenomenon of entangled black holes. Following up on work by Jensen and Karch, Sonner has sought to tackle this idea at the level of quarks. To see what emerges from two entangled quarks, he first generated entangled quarks using the Schwinger effect — a concept in quantum theory that enables one to create particles out of nothing. Sonner then mapped the entangled quarks onto a four-dimensional space, considered a representation of space-time. In contrast, gravity is thought to exist in the fifth dimension. According to Einstein’s laws, it acts to “bend” and shape space-time. To see what geometry may emerge in the fifth dimension from entangled quarks in the fourth, Sonner employed holographic duality, a concept in string theory. While a hologram is a two-dimensional object, it contains all the information necessary to represent a three-dimensional view. 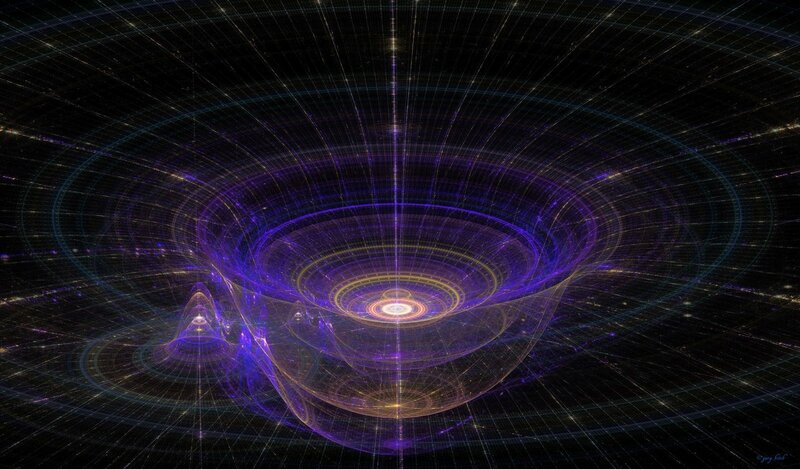 Essentially, holographic duality is a way to derive a more complex dimension from the next lowest dimension. Using holographic duality, Sonner derived the entangled quarks, and found that what emerged was a wormhole connecting the two, implying that the creation of quarks simultaneously creates a wormhole between them. More fundamentally, the results suggest that gravity itself may emerge from quantum entanglement. On top of all that, the geometry, or bending, of the universe as described by classical gravity, may also be a consequence of entanglement. There are some hard questions of quantum gravity we still don’t understand, and we’ve been banging our heads against these problems for a long time. We need to find the right inroads to understanding these questions… It’s the most basic representation yet that we have where entanglement gives rise to some sort of geometry. What happens if some of this entanglement is lost, and what happens to the geometry? There are many roads that can be pursued, and in that sense, this work can turn out to be very helpful. 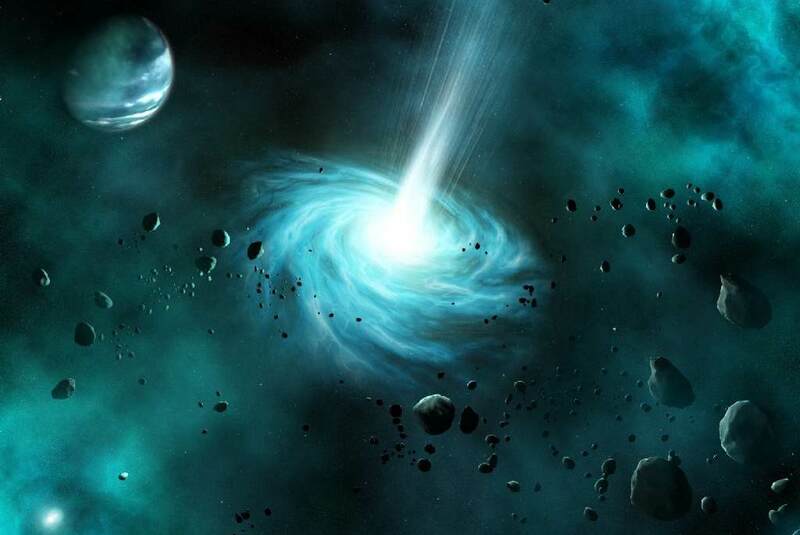 Granted, the idea of riding wormholes so that we, as humans, can travel from one location in space to another is still very much science fiction, knowing that there may very well be a sound, scientific basis for their existence is good news for anyone who believes we will be able to “jump” around the universe in the near to distant future. I used to be one of them, now… I think I might just be a believer again! 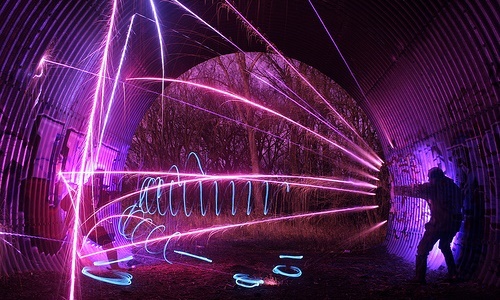 Great ideas for future/science fiction stories, really exciting concepts and wonderful photos! Oh why thank you. And in truth, the ideas been used quite a bit for sci-fi over the years. It’s just it hasn’t really been plausible up until now.